In May, 1995, His Eminence Archbishop Gregorios of Thyateira and Great Britain gave his blessing for the building to be used for Orthodox purposes, under the patronage of Archangel Michael and Holy Piran the Celtic saint. In the Oecumenical Patriarchate, all Orthodox, visitors and inquirers are welcome. At the present time it remains the only Orthodox Christian temple in Cornwall. Since those early days both numbers and make-up of the Community have fluctuated but it remains our task to make ourselves known as widely as possible, providing opportunity for worship and pastoral ministry and uniting particularly the Orthodox of the Diaspora. Dating from 1886 this delapidated ex-Methodist building was bought in 1996 as a place of worship for the small number of Orthodox Christians of Greek tradition in Cornwall. Essential restoration work took place in 2000 with a Narthex added in 2005. 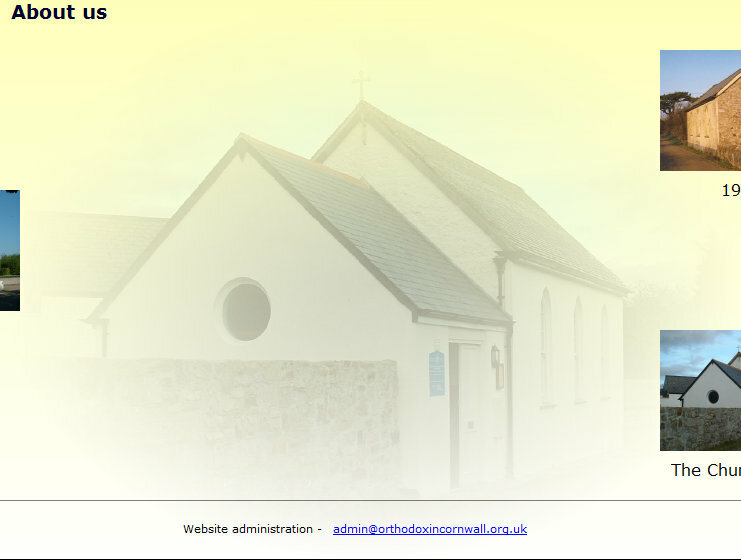 Further development is not possible since the adjoining land is privately owned and in commercial use – see New Church page.